Starting with Olive & Thyme – This is a wonderfully fresh and bright fragrance, it’s distinctly herbal in nature with a sharp citrus top note which you can’t fail to miss. This fragrance is inspired by the Mediterranean coast, including notes of olive leaf, citrus and musk, to whisk you away on an Italian adventure. Next, Riviera Escape – This is definitely my favourite candle out of the collection. Riviera Escape is a beautiful clean and fresh coastal scent, evoking glittering promenades, full with hillsides of beautiful blossoms glowing in the sun. This scent instantly takes me to the coast and I can’t get enough of it! And Sea Sage & Salt – Now this fragrance is described as ‘warm and inviting, sage mingles with the clean, fresh scent of sea salt…like a relaxing walk along the shore’ but I have to say I really don’t get this at all. To me, this candle smells like men’s aftershave! It really reminds me of my dad for some reason! This is definitely a masculine scent, and not really one for me unfortunately. And lastly Summer Peach – This scent is almost mouthwateringly juicy – I mean my mouth literally nearly waters when I smell this candle! 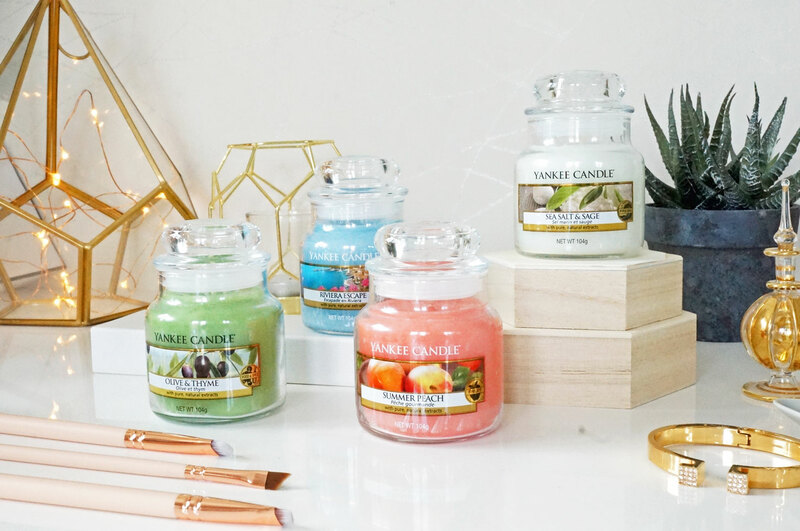 Fans of sweet scents will love the Summer Peach candle – echoing ripe peaches straight from the orchard, warmed by the sun and begging for that first juicy bite, this fragrance is the epitome of summer. 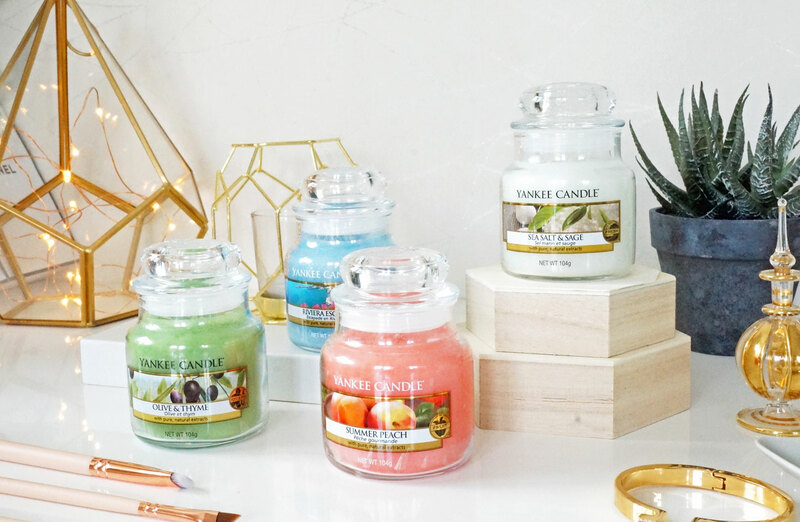 The Riviera Escape collection is available now at Yankee Candle. Chrysler Ypsilon Vice vs Virtue Cinema Challenge! Debenhams Christmas Floral Bouquet & Offer! Next Post Bargain Alert! The M&S Summer Beauty Box is coming very soon!